Workplace safety is becoming increasingly more and more talked about in the world today. In fact, it’s so talked about that the European Union (EU) made a 6-year strategic framework focusing on improving occupational health and safety in companies in the EU. What makes workplace safety so important for my company? The answer is simple, it just is and should be a priority no matter what your industry or job function is. 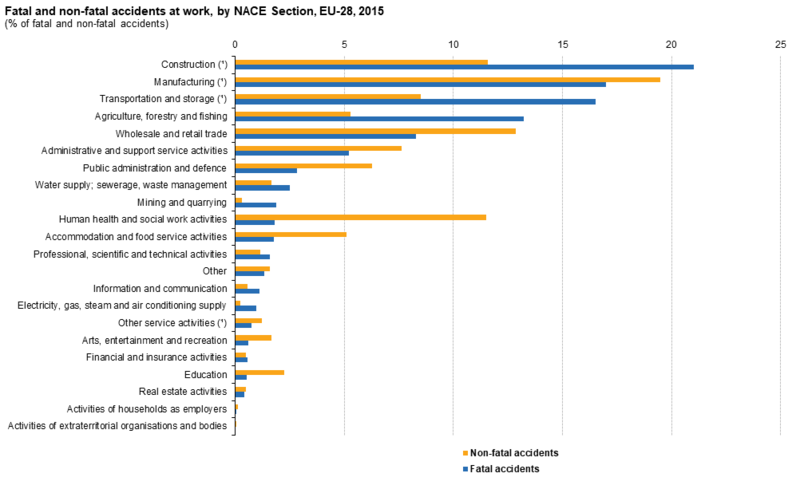 Recently published statistics from EuroStat shows that a “fifth of all workplace accidents happened in the construction industry”, but that accidents are occurring in every industry and job function. What all these industries have in common is that the employees here are doing mainly physical work, and with large loads of goods and machines, which can present risks in terms of occupational safety. Another observation is that mining and quarrying has a low amount of fatal accidents. This could be due to the implementation of more safety at work as this is seen as a dangerous industry to work in, in general. 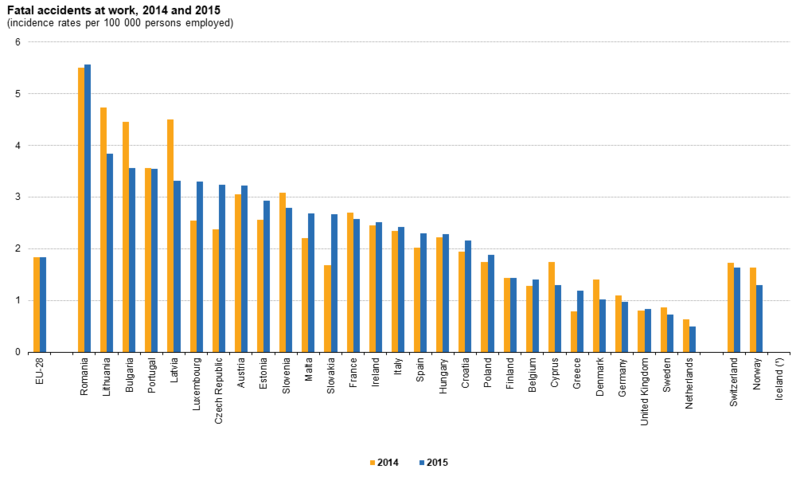 Another thing to be aware of, according to the EuroStat review, is that the amount of fatal accidents increased with 102 (2.7 %) in EU-28 between 2014 and 2015. Countries where the amount of fatal accidents are the highest include Romania, Lithuania and Bulgaria. Whereas countries that are doing the best in terms of preventing fatal accidents are Netherlands, Sweden and the UK. It tells us that the measures of protecting workers isn’t good enough in the EU. This is where EU’s strategic framework comes in. The EU aims to create a better foundation for safety education, principles and simplify reporting processes and legislations. In addition, they will increase the practical support for small and micro-sized companies to ensure that they know how to comply with health and safety rules. Set a checklist of critical areas that has had hazards or accidents in the past to make sure they have an increased focus on health and safety at work. For example near miss reporting can help preventing smaller hazards from escalating. Make periodical inspections of the property and work areas and make sure that all equipment, air vents and machines, etc. are up to date with safety requirements set by your country, and the EU. Enable all employees to do low threshold reporting. In that way you will be able to catch all and any accidents or near misses that happens in the workplace. However, all accidents are important, and needed to know about in order to prevent any potential future fatal accidents. One way of doing that is by implementing VUCA in your safety strategy. GDPR - Does the world end tomorrow?